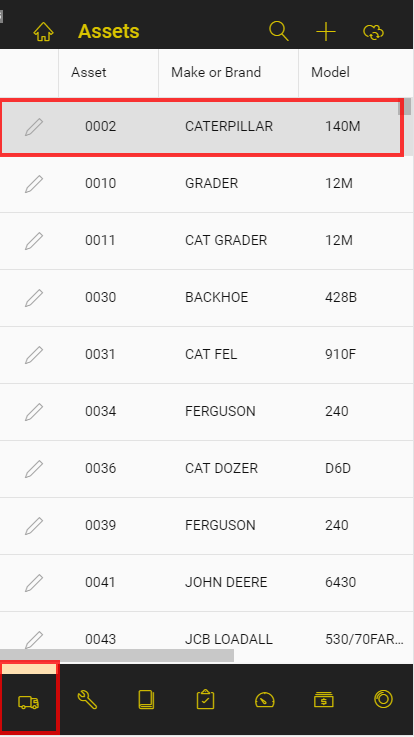 You can view the data on your mobile app and also enter new records for the Assets. Where it is appropriate you can also add new configuration items (such as consumable items) if they have not been already configured in the web version. You will see a where this is allowed. It is recommended that the configuration is done on the web version as much as possible. This is an example of the Repairs & Maintenance Screen that shows all the records for the selected asset. This shows after selecting the icon at the bottom of the screen. 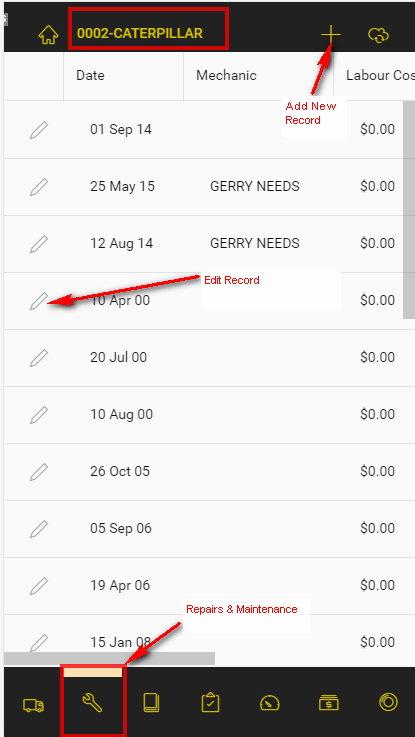 You can Add or Edit existing records. These other icons are for the different types of records for the selected asset.